Cloud services to help businesses like yours succeed. Our easy to use cloud services help businesses like yours succeed. Enable your business to engage with your customers from anywhere. Collect feedback and hear the voice of your customers. 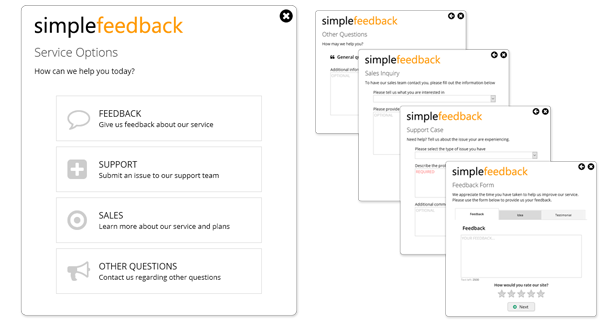 Use the feedback form to identify areas for improvement and increase customer satisfaction. Manage customer requests for help with the support case form. Case types give you insight into the types of issues your customers frequently experience. Capture new clients and leads with our sales form. Track deal size and organize your sales activities in your pipeline using stages to increase win rates. For general inquiries, the CRM form is an all purpose form for your customers to send you questions about programs you offer your customers. A free iOS App to see our services in action. 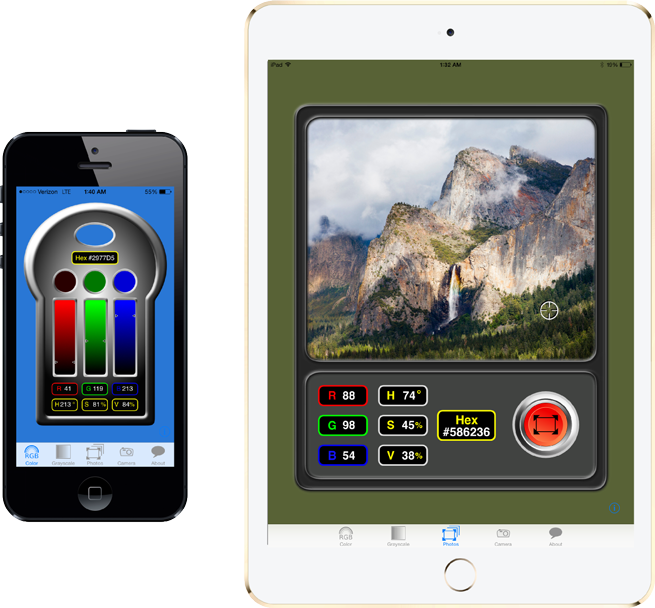 RGBer is an universal app for the iPhone or iPad. RGBer lets you determine RGB, HSV, and Hex values for any color using 4 unique tools. Gray Scale Picker -- A simple gradient gray selection tool. Photos Library -- Select any color out of a photo from your library. Camera -- Take a photo and pick out any color from the photo. Magnificently simple cloud services to help businesses like yours succeed. We know small business and have over 3 decades of experience designing and creating solutions for millions of successful small business owners. We are focused on helping these businesses grow their web and mobile presence, customer loyalty and profits. SimpleFeedback.com provides a suite of cloud-based services that helps companies listen and interact with their customers with simple and easy to use tools. When customers talk, listen completely. Business success is to hear their voices and act. Prior to starting Magiwow, LLC, Tony spent 16 years at Intuit, Inc. creating innovative, easy to use solutions for millions of small businesses. Throughout his career, he has held leadership positions in product development, product management and support. Alan has held leadership software engineering positions at Intuit, Apple and other top companies. As co-founder of Magiwow, LLC, Alan continues to follow his passion creating innovative software solutions that are easy and enjoyable to use. We appreciate your interest in Magiwow, LLC and our services.